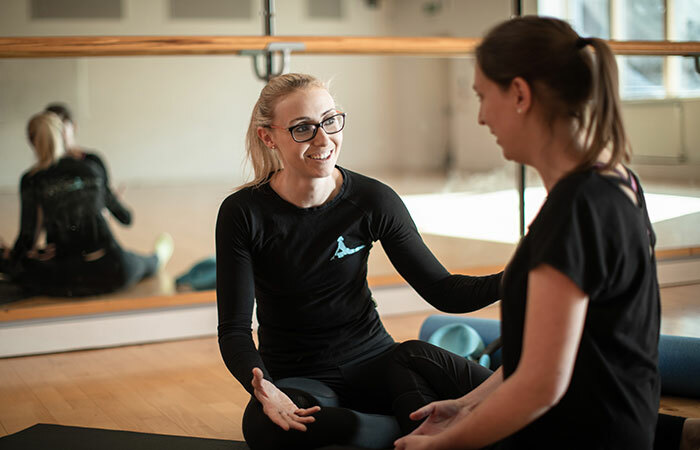 At Pop-up-Pilates our highly qualified and experienced physiotherapists can work with you individually, in pairs, or small groups to develop a bespoke Pilates programme more focussed on specific needs. Pop-up-Pilates can bring the Pilates studio to you at home or at work, or choose from one of our venues. We supply all the equipment you need and can provide bespoke exercise plans for you to work from between sessions. At Pop-up-Pilates our highly qualified and experienced physiotherapists can work with you individually to develop a bespoke Pilates programme. Private tuition gives our physiotherapists time to focus purely on your needs. We conduct a thorough assessment and use this to develop a Pilates based exercise programme to help you develop the body awareness, strength, flexibility, and control you need to help you on your way to your goals. Private tuition can be booked as a one-off session to help point you in the right direction, or as a series of regular sessions, so we can be with you each step of your journey. Private Pilates sessions also work well as a lead up to joining our classes if you have a specific need you wish to address. Our private tuition sessions are built around your needs. 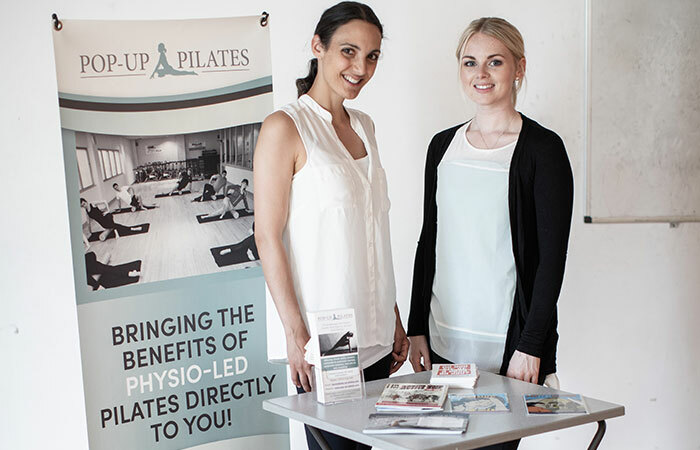 Pop-up-Pilates can bring the Pilates studio to you at home or at work, or you can join us at one of our venues. We supply all the equipment you need and can provide bespoke exercise plans for you to work from between sessions on request. If you like the idea of a private session but would like the motivation or support of doing it with a friend or partner we can help you. These sessions still allow you plenty of focus but the fun and support of exercising in company. When you book a Pilates in Pairs session we supply all the equipment you need and can provide bespoke exercise plans for you to work from between sessions if needed. Our private tuition sessions are built around your needs. Pop-up-Pilates can bring the Pilates studio to you at home or at work, or choose from one of our venues. We supply all the equipment you need and can provide bespoke exercise plans for you to work from between sessions. If you have a small group of friends or colleagues who would all like to experience the benefits of physiotherapy led Pilates whilst having fun and supporting each other, we can help. These sessions can be built around 3-8 people in course blocks of 4-8 sessions. Your physiotherapist develops a series of session plans based on your goals, experience level and abilities and has plenty of time to adapt these to each individual during the session. Small group Pilates sessions allow plenty of hands on teaching and individual modifications. Prices are based on number of participants, location and length of course booked. Please contact us for a quote.